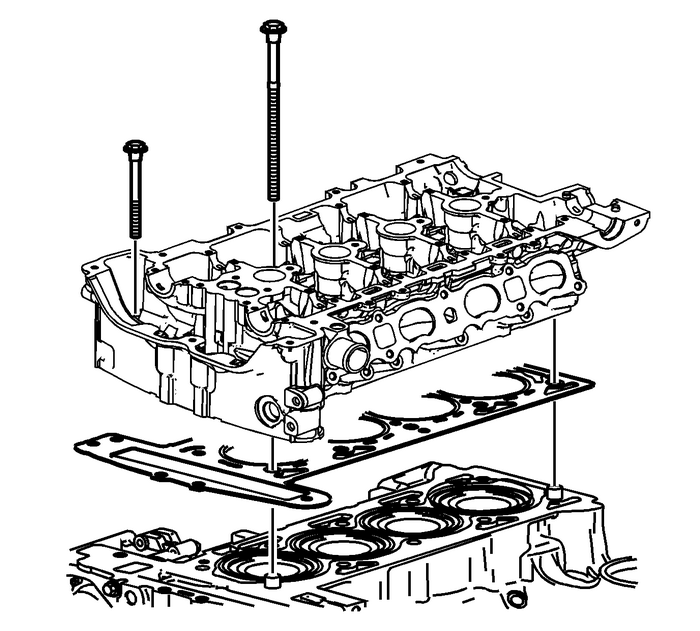 Remove the cylinder head to the block bolts insequence. 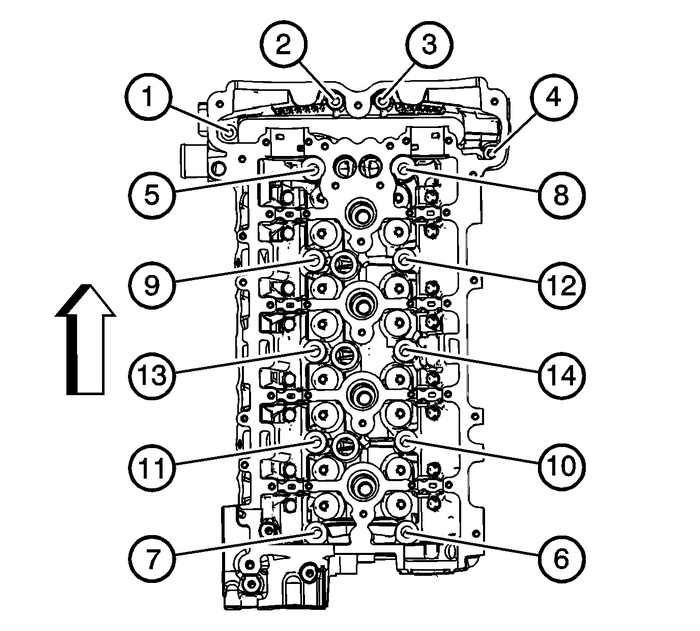 Caution:In order to prevent damage to the valves and injectors duringcylinder head removal, set the cylinder head on blocks. Remove the cylinder head.Remove the cylinder head gasket.Clean all of the gasket surfaces.Use the following procedures when cleaning the cylinder headand cylinder block surfaces:Use a razor blade gasket scraper to clean the cylinder headand cylinder block gasket surfaces. Do not scratch or gouge anysurface. Note:Do not use any other method or technique to clean thesegasket surfaces. Use a new razor blade for each cylinder head and cylinderblock. Note:Be careful not to gouge or scratch the gasket surfaces. Donot gouge or scrape the combustion chamber surfaces. The feel ofthe gasket surface is important, not the appearance. There will beindentations from the gasket left in the cylinder head after all ofthe gasket material is removed. These small indentations will befilled in by the new gasket. Hold the razor blade as parallel to the gasket surface aspossible. Note:Do not use a tap to clean the cylinder head boltholes. Clean the old sealer/lube and dirt from the boltholes.Clean the bolt holes with a nylon bristle brush. Warning:Wear safety glasses to avoid injury when using compressed airor any cleaning solvent. Bodily injury may occur if fumes areinhaled or if skin is exposed to chemicals. When cleaning the cylinder head bolt holes use a suitablecommercial spray liquid solvent and compressed air from anextended-tip blow gun to reach the bottom of theholes.Remove any broken long cylinder head bolts using theEN 38188kit.